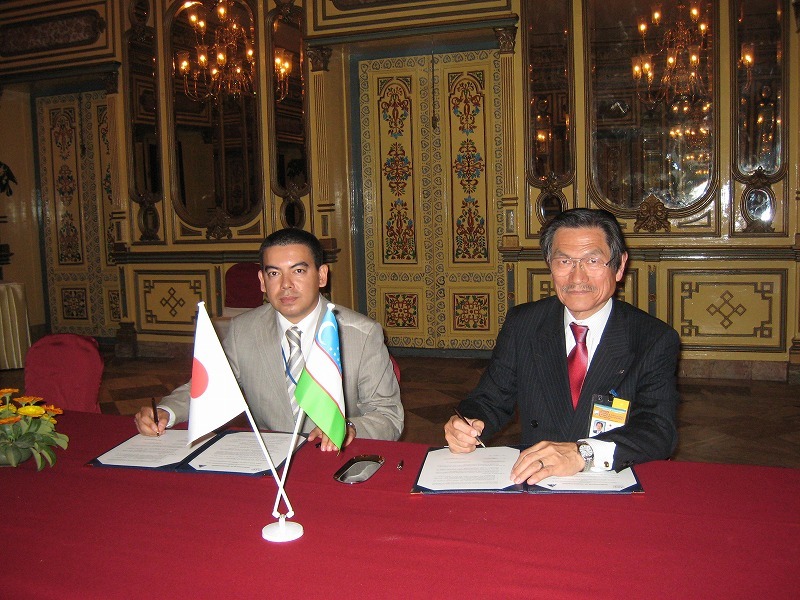 On March 12, 2009, Mr. Akihiko HIROTANI, president of the Association of Japanese Consulting Engineers (AJCE) and Mr. Mirodil Mirakhmedov, chairman of the Uzbek Association of Consulting Engineers (UZACE) has concluded the Memorandum of Understanding (MOU) at Yak & Yeti hotel in Kathumandu. At the start of MOU inauguration, Mr. Mirodil MIRAKHMRDOV addressed that we will endeavor to raise engineering capacity in Uzbek as well as Asian countries together with AJCE who possesses long standing experience as a prominent Member Association in ASPAC; FIDIC Member Associations in Asia and Pacific region. At the same time, we are expecting progress of both associations through MOU. 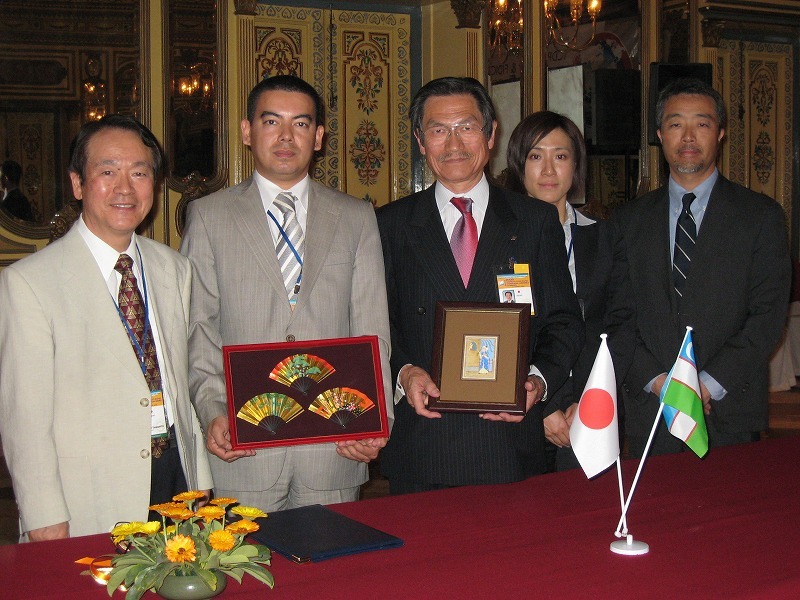 Mr. HIROTANI, chair of ASPAC stressed the significance of MOU conclusion with a new member of ASPAC. AJCE will support technology development of UZACE by information exchange through newsletters and holding joint seminars, etc. Further, he expressed that we would like to help development of consultancy in the central Asian region together with UZACE. Contents of the MOU are i) Mutual information exchange, ii) Holding of joint seminars, iii) Promotion of business opportunities among member firms, iv) Promotion of capacity building of young professionals, etc.